Just because we reach a certain age doesn’t mean we can’t continue to experiment with our hair color. In fact, changing your hair color is a simple way for women over 50 — or even under 50 — to look 10 or more years younger. The key is to choose a flattering coloring technique in hair colors for older women to not only cover grays but add vibrancy to hair. Scalp problems can be uncomfortable and embarrassing, but not all scalp conditions lead to hair loss. However, many common scalp conditions do require a trip to the doctor to clear up the symptoms and prevent them from becoming more serious. Keep reading to learn more about common scalp conditions, and what you can do about them. Remember, if you’re looking to conceal irritated scalp or scalp show-through, Toppik Hair Building Fibers has you covered! 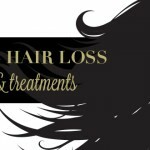 While hair loss is always a painful topic, not all hair loss is the same. In fact, there’s a multitude of causes for hair loss. For example, hair loss can be from a vitamin deficiency, genetics, or a side effect of medication. While hair restoration is an option for those with long term, severe hair loss, it’s not necessary for less serious cases. 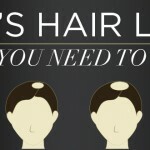 But how do you know if you have a serious case of hair loss? When is the right time to see a hair loss doctor or a doctor who specializes in hair restoration? Keep reading to find out. You probably already know that hair grows from the hair follicle. But how much do you really know about hair follicles? 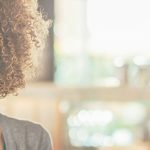 It turns out that to grow healthier hair, you first need to understand how your hair follicles function. Keep reading to learn more about the anatomy and function of hair follicles, and how to maintain a healthy hair follicle. Keratin is a buzzword in the hair care industry. Some hair experts claim that keratin treatments and products can completely change the look and health of your hair. But before you invest in a keratin treatment or other products that contain keratin, it’s important to understand keratin. Learn more about what is keratin, how it works, and how much it actually improves the appearance of your hair. 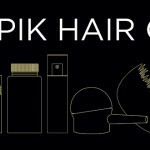 Keep reading for our complete guide to keratin treatments and products, including Toppik Hair Building Fibers, which are made from premium colored keratin protein! When you have thinning hair, protecting the hair you do have is extremely important. Damaging your hair through chemical processing, poor styling techniques, and yes, even heat tools, can lead to breakage, which will just make your hair look even thinner. Unfortunately, many people find it difficult to give up heat tools. After all, who has time to let their hair air dry before work in the morning? If you can’t give up heat styling altogether on your fine, thin hair, one of these styling tools is a good alternative. Keep reading for our tips for the best hair styling tools for fine hair, and how to use them to make your hair look fuller. With Halloween just around the corner, it’s time to start planning our costumes. No matter what you decide to be for Halloween this year, the perfect hairstyle is the detail that can take your costume to the next level. Still weighing your costume options? We’ve got you covered. Keep reading for our favorite Halloween hairstyles to help inspire you! Smoking can have many negative consequences. Heart disease, cancer, and respiratory illnesses are really just the tip of the iceberg. But if health problems don’t convince you to quit smoking, maybe this will: studies also indicate that smoking causes hair loss. Keep reading to learn the reasons why smoking causes hair loss and how to reduce hair loss from smoking.